Programs in which people pay landholders to support natural systems that provide benefits like flood protection, biodiversity and carbon storage, are expanding around the world, according to a new UCLA-led study. The paper, published today in Nature Sustainability, is the first peer-reviewed, global assessment of "payments for ecosystem services" mechanisms. Leading the study were James Salzman, Donald Bren Distinguished Professor of Environmental Law at UCLA School of Law and the Bren School of the Environment at UC Santa Barbara, and researchers at Ecosystem Marketplace, an initiative of the non-profit Forest Trends. Malaysia provides one example of how payment for ecosystem services programs work, Salzman said. 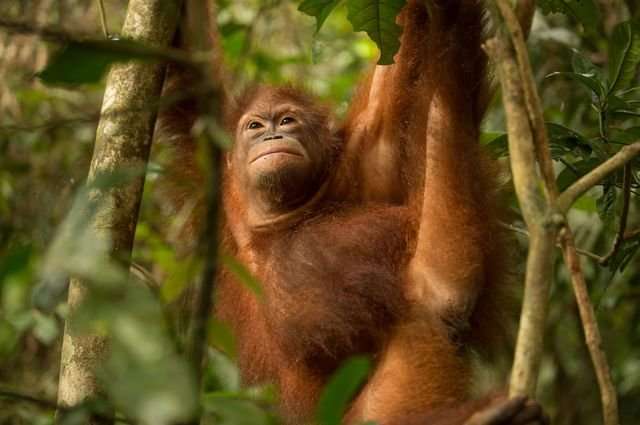 The state of Sabah worked with private parties to restore and maintain 131 square miles of rainforest, home to one of the world's highest concentrations of orangutans. The program sells "biodiversity conservation certificates," each representing 100 square meters of forest restoration and protection for at least 50 years. Little more than an idea a few years ago, payments for ecosystem services has grown into a large and expanding market, according to the study, which found that more than 550 programs active worldwide, in both developed and developing countries, with more than $36 billion in annual transactions. "There has been enormous interest around the globe in payments for ecosystem services, fueled by promising case studies and exciting transactions, but until now we've never had a firm grasp on just how large they have really become," Salzman said. "Payments for ecosystem services is a market-based approach that places a value on the many benefits that nature provides to people—clean water, flood control and wildlife habitat. Done right, trees can be worth more standing than cut down." No payments for ecosystem services sector has seen more growth than watersheds, where communities, companies and other users pay upstream landowners for land management practices, such as conversation of croplands to forest, that reduce flooding and improve water quality. The researchers found that payments for ecosystem services related to watersheds has the largest volume of global transactions and the greatest geographic spread, with $24.7 billion in transactions across 62 countries in 2015, compared to $6.7 billion in transactions in 2009. China's "eco-compensation scheme" for watersheds is the world's largest payments for ecosystem services program. After a series of major floods and droughts in the late 1990s, China identified deforestation as a major problem and distributed more than $100 billion from 2001 to 2010 for tree planting, logging bans and other landholder actions. South America has also been experiencing rapid growth in the number of watershed payments for ecosystem services programs, with 57 funds created in the last decade. The Latin American Water Funds Partnership, launched in 2011 by a consortium of funders led by the Nature Conservancy, has 16 operating funds. In Quito, Ecuador, for example, a water conservation fund gathers a 1 percent surcharge on monthly water bills and payments from a local electrical utility and beer company to finance projects protecting forests and grasslands in a watershed that serves 2.5 million people. The researchers found strong interest in markets for forestry and land-use practices that store carbon, such as forest conservation and restoring degraded lands, with payments topping $2.8 billion since 2009. But growth will depend on how countries implement their national climate plans under the Paris Agreement. 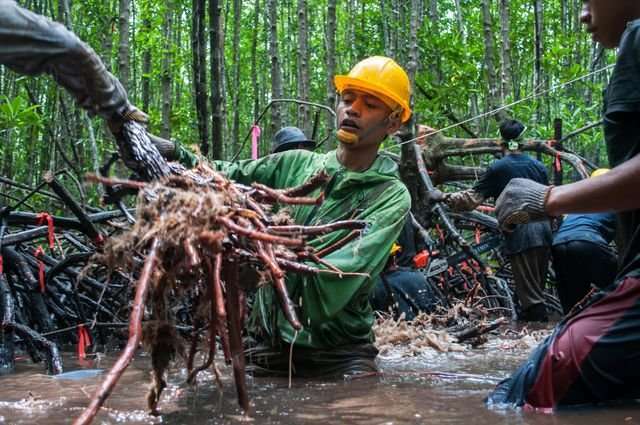 A United Nations program called REDD+ created a framework in which rich countries would pay developing countries for measurable actions that reduced carbon emissions from tree clearing and forest degradation. But as of now, it is unclear whether wealthy countries will accept credits from REDD+ programs. Payments for ecological services that promote biodiversity, such as Malaysia's rainforest certificate program, face the most challenges to scale. Beneficiaries of biodiversity conservation go beyond a specific, local group of users and might include scientists, medical researchers, hunters and fishers or environmentalists. Likewise, the specific benefits of biodiversity programs are often indirect or nonmaterial, such as the joy people experience seeing a California condor flying in the wild. Biodiversity programs exist in only 36 countries and successful programs rely on regulation. Yet in regions where conservation is most under threat due to a lack of regulation or enforcement, biodiversity payments at small scale may be the most promising conservation strategy, Salzman said.